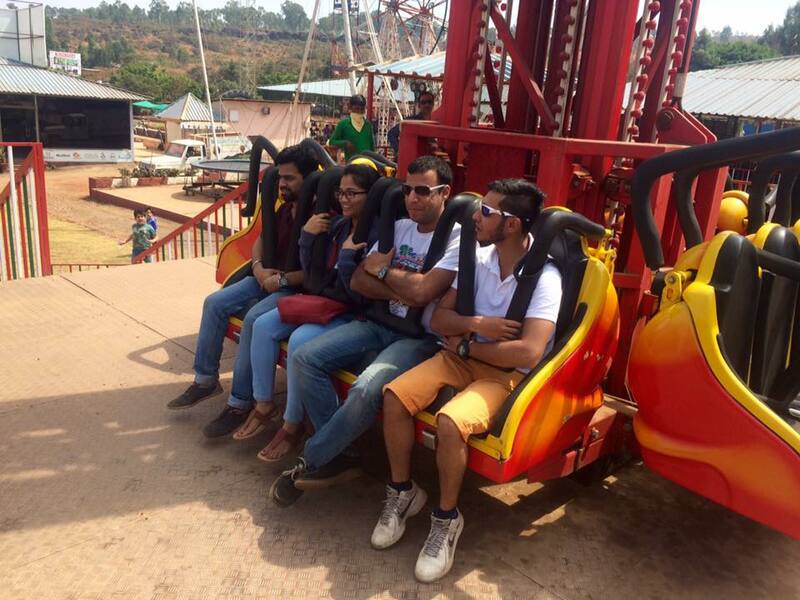 Ready To Enjoy Holiday At "Velocity Entertainmentz"
This Park Is A Must-Visit Or Every Leisure Traveller In Mahabaleshwar. 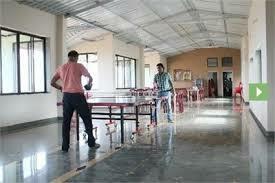 Gaming Options Available Here Are Many-Ranging From Several Outdoor Game Facilities To Exciting Indoor Games. 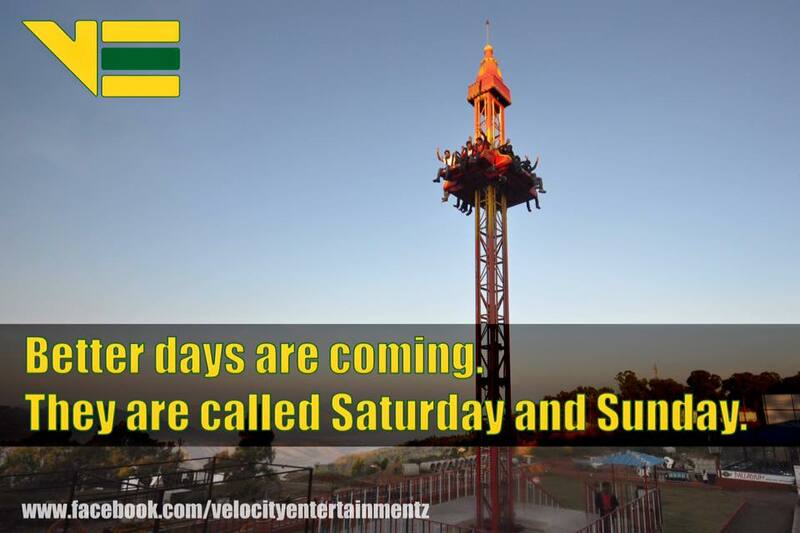 Velocity is a theme park. The Good Part Is That This Place Has Something For Every Age Group. Starting From 2-3 Year Olds Going Upto Adults. Highlight Was The Go-Karting Arena. 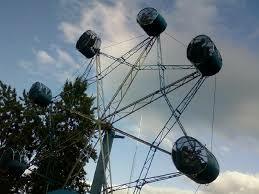 It Is Fun To Take The Go Kart ide. 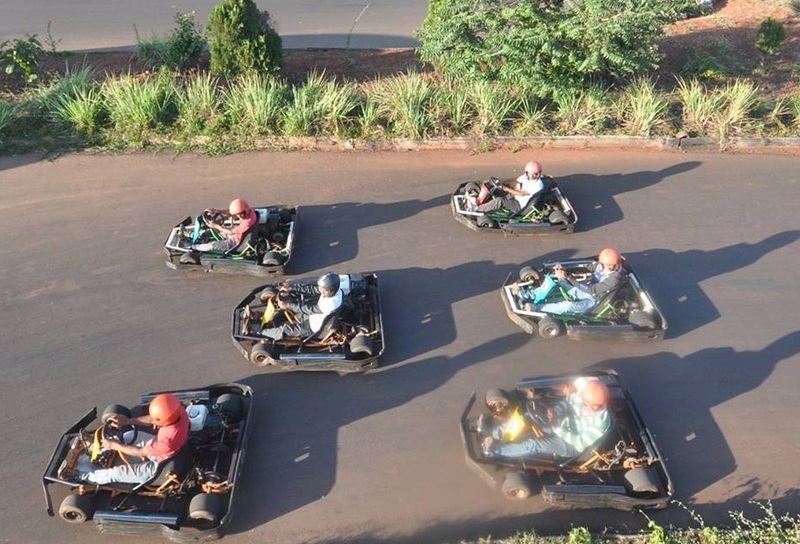 Welcome To VELOCITY A Naturistic GET AWAY TO GO KARTING, AMUSEMENT AND FOOD, AN ALL IN ONE STOP FOR EVERYBODY IN YOUR FAMILY!! 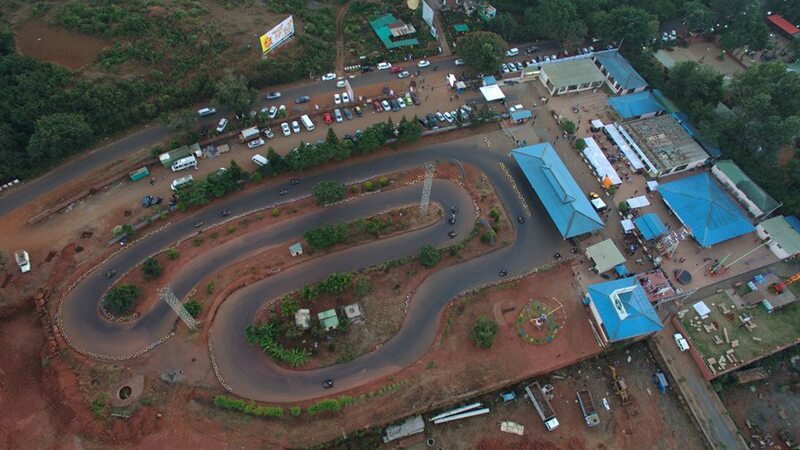 India's Only Professional Go Kart Track On A Mountain. 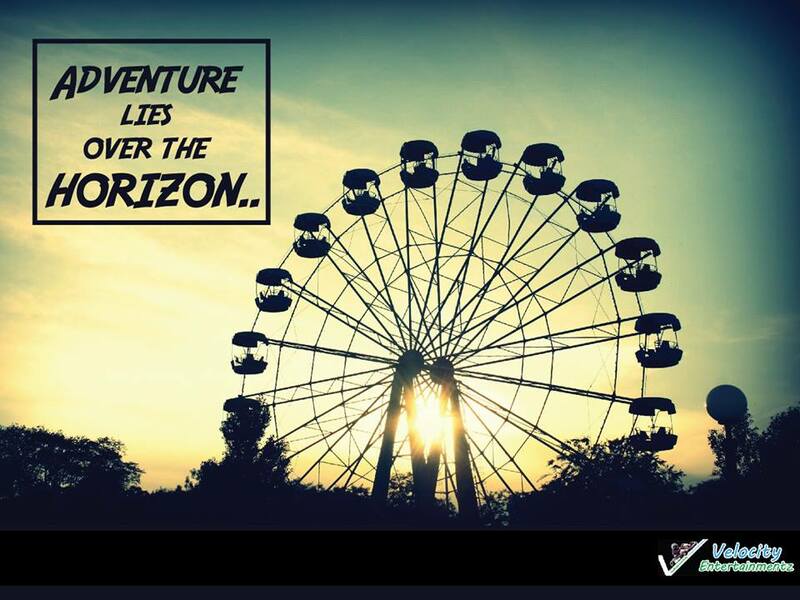 VELOCITY ENTERTAINMENTZ Go-karting is a safe, legal way for you to indulge yourself at the most beautiful mountain in Panchgani at 1200 meters above sea level. 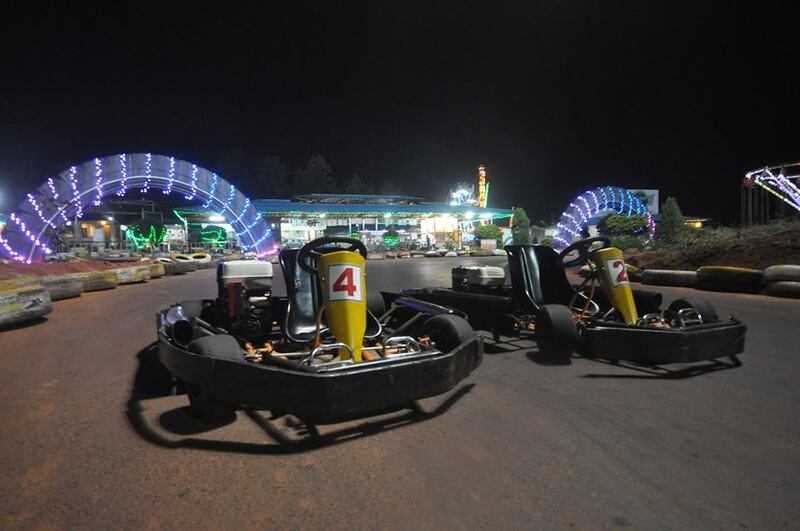 It is the only Go Kart Track in India on a mountain, at the Sahyadari Range (Konkan Ghats) with the Chilling 20-25 degree temperature all year round. 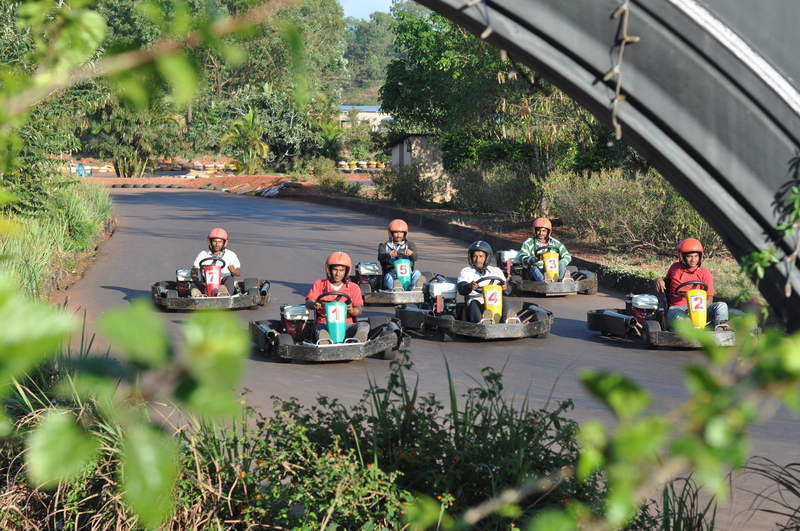 A perfect getaway to nature and the superbly built Go Kart Track is a Nirvana for all the Motoring-Enthusiasts in India. 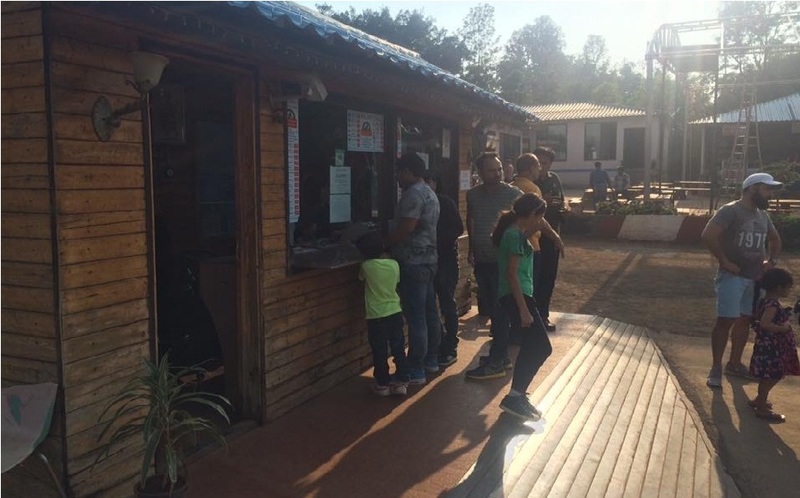 Just a 5hr drive from Mumbai, 2 hrs from Pune and 6 hours from Goa, this track is located at the centre for more than 5 big cities, from were we have received well wishes for their lifetime experience with us! 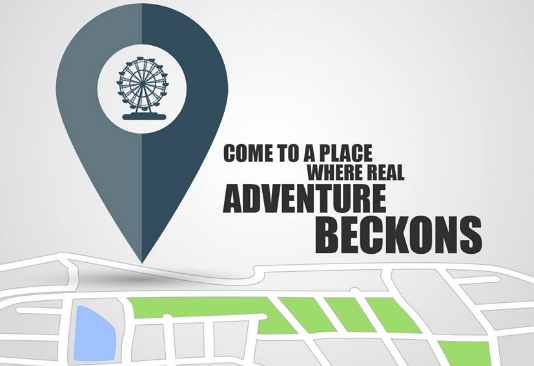 A 430 meters lap, 5 corners and and one speed-curve is surely going to put your skills for rejuvenation, increasing your passion levels to an all time high with every single lap. Get the feel of a proffessional racer taking corners on a smoothest track ever, with safety wear and caution tyres put all around the track to keep you safe while you are testing the best in you! OUR FINISH FLAG IS WAITING FOR YOU!!! 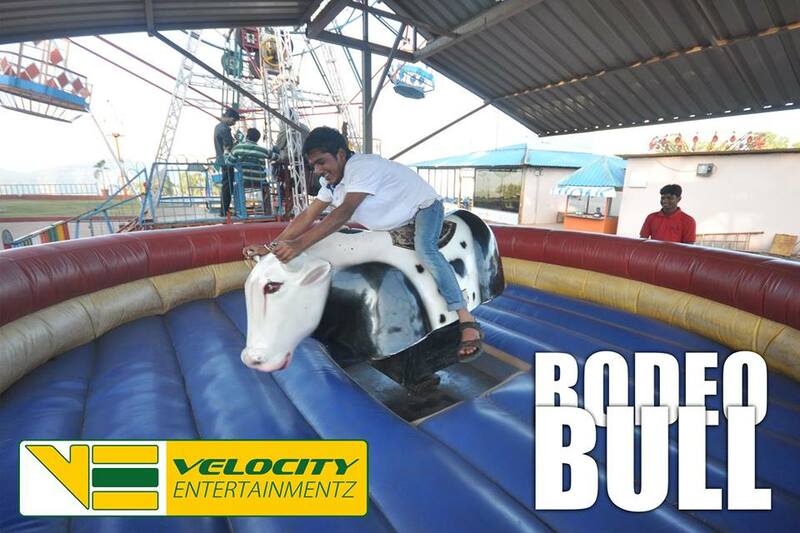 We at Velocity, not only fuel your passion for the love of machines, we also offer you varied services ranging from Go Karting to food with amusment, to replenish your happiness for the whole day. 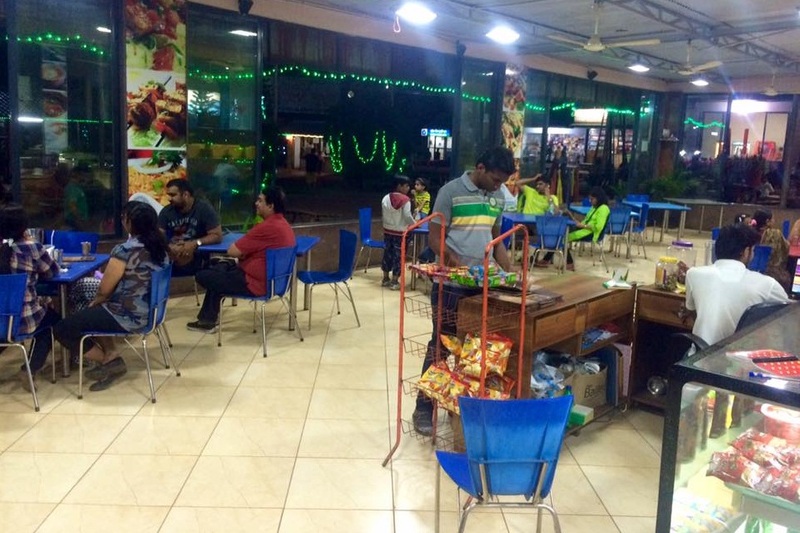 Enjoy the Juices and Desserts with a full view of the track watching your friends take the laps and then savour yourself to our Veg delicacies in Temptation Veg Restaurant right opposite the track’s Pit Station. 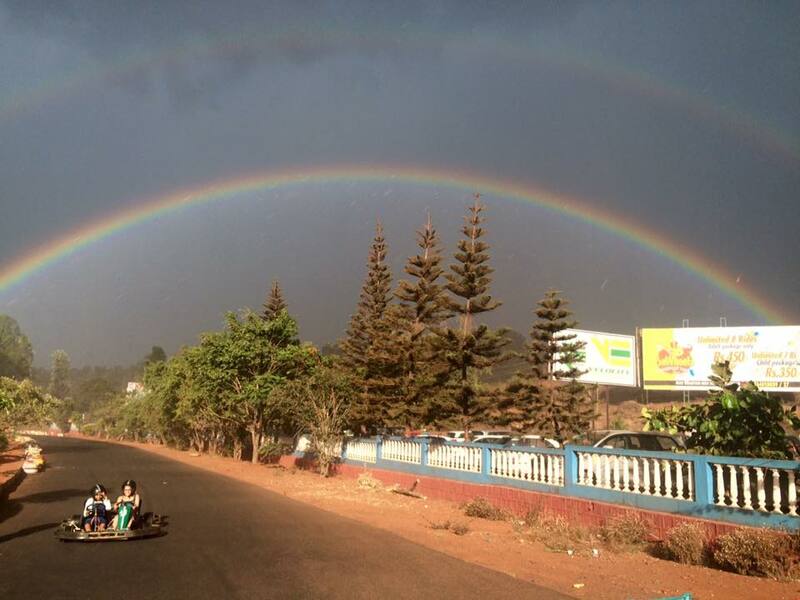 We have also provide best Service for you with mouth watering dishes with the Indian spices and Local Recipies, fall in love with our blend of Gokarting, Food and Amusment in this refreshing weather of Panchgani. 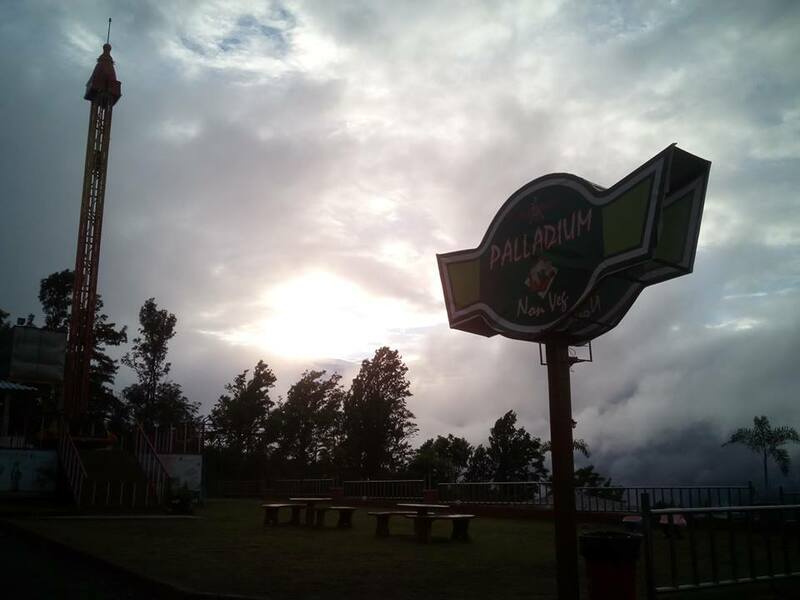 “A Visit You Will Remember With A Lot Of Entertainment And An Amazing View". 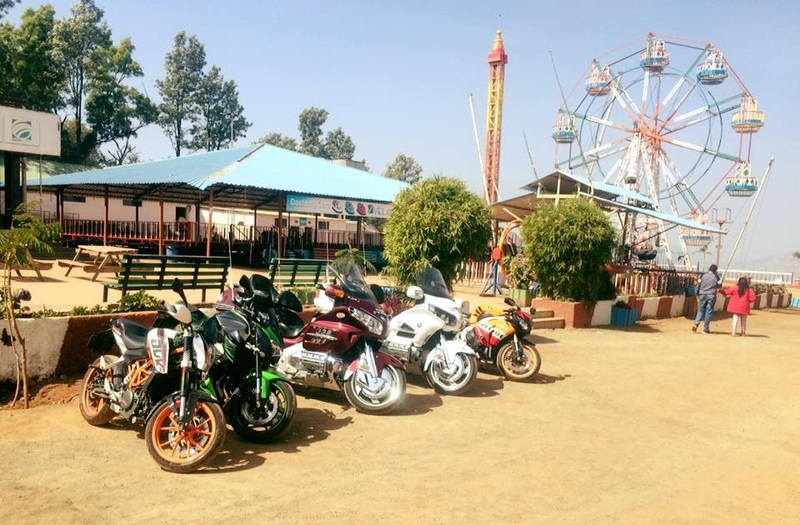 GoKarting, Atv Bikes, Dashing Cars, Giant Wheel, Drop Tower, Zipline, Bungee Ejection, Bungee Trampoline, Hanging Merry Go Round, Rodeo Bull & gyroscope. Complete vehicle care begins at an IndianOil XtraCare petrol pump. From branded auto fuels, to speedy windshield wipes to quick oil checks and snappy air service, you will experience the superior services that will leave your vehicle feeling special. 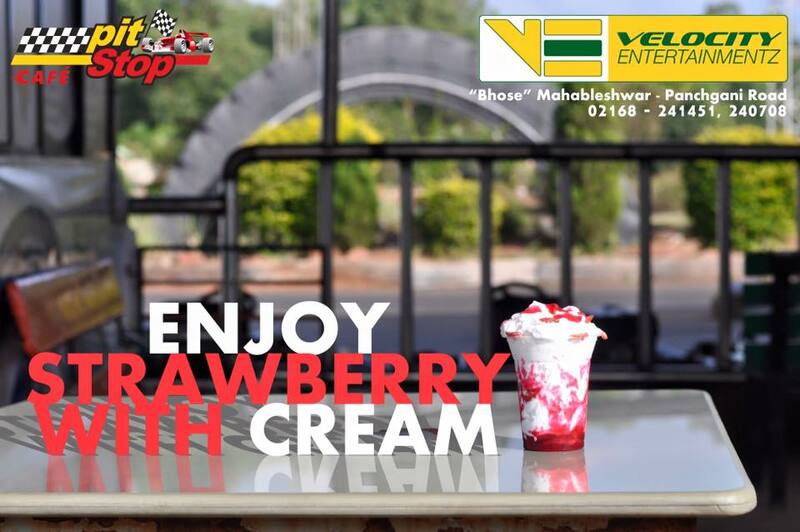 We Serve Special "sundae ice-cream".It typically consists of one or more scoops of ice cream topped with sauce or syrup, and in some cases other toppings including sprinkles, whipped cream, peanuts, maraschino cherries, or other fruits. 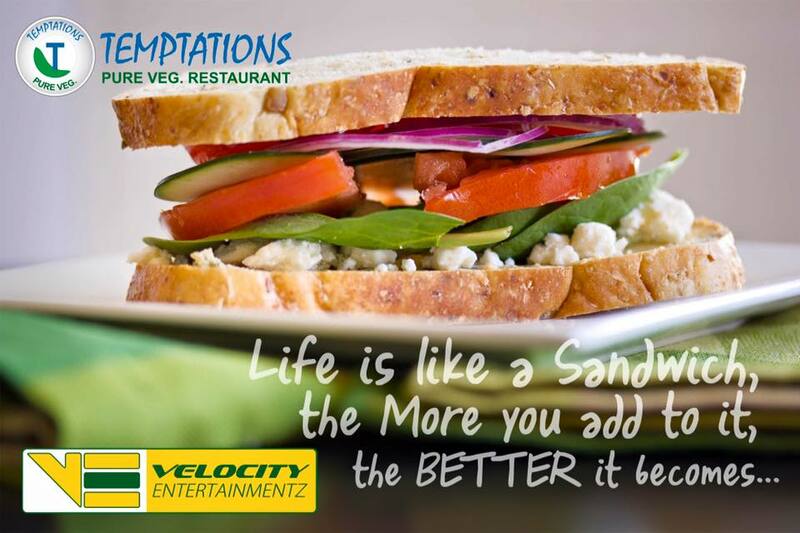 Velocity Entertainmentz premises also has a couple of restaturants - Temptation . 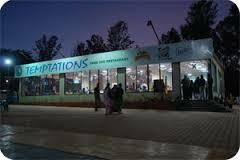 Temptation is a pure vegetarian restaurant serving in Indian and Italian cuisine. 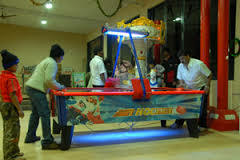 Air Hockey, Rifle Shooting, Horse Riding and Helicopter Riding for Kids, Hill Climb and Basket Ball Challenege. The park has a SBI ATM facility. Your Valuable FeedBack HelpFull For Travller. 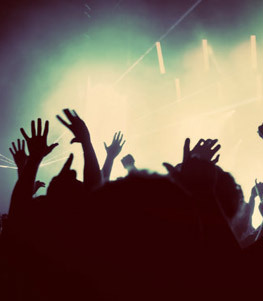 Customer experience With Velocity Entertainmentz. Nice to spend 3 hr. We enjoyed the car and bike racing. our kids enjoyed dashing car, etc. Nice place to take a break between long driving. Feel Free To Call Us To Know More, We Would Be Happy To Serve You!!! Phone No : 02168 241 451. Closing Time 23.00 hours. (Track Closes @ 21.00 hrs). © 2014 Velocity Entertainmentz. Designed by Krishna Technologies.